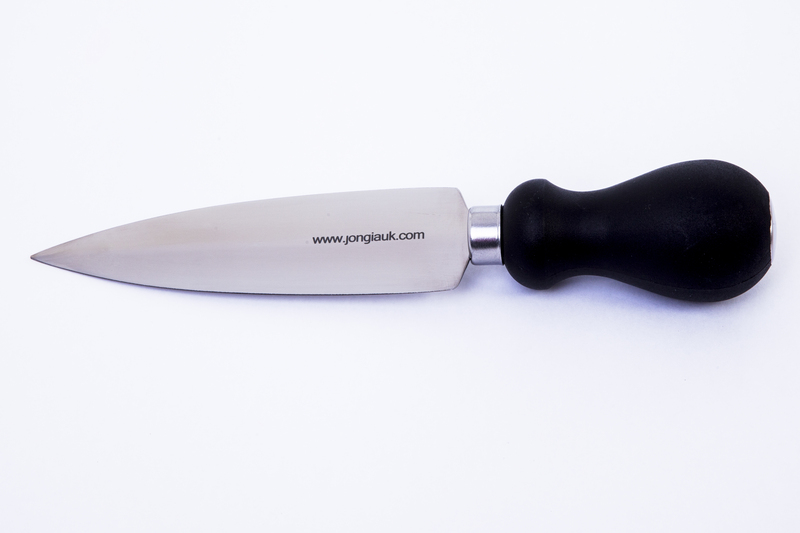 Knife for cutting pieces of cheese out of Parmigiano-Reggiano and Grana parmesan cheese. 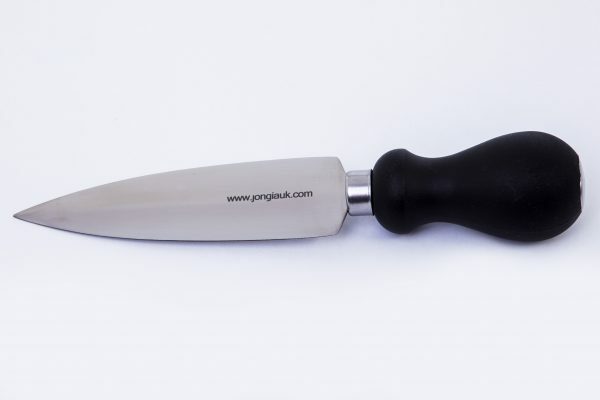 Parmesan Knife for breaking Parmigiano-Reggiano and Grana (Parmesan in short) open. 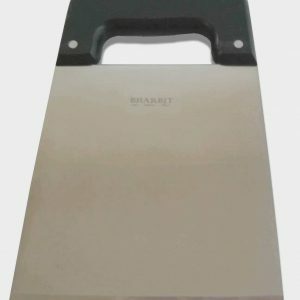 With this tool, you break small pieces from a large piece. Model Milano. This knife is made out of stainless steel and with a plastic (PP) handle. 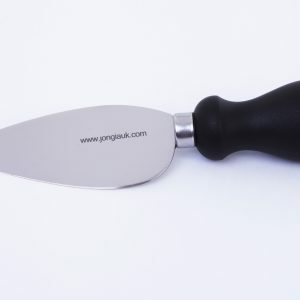 Blade width 4 cm, blade length 14 cm, total length 24 cm, weight 160 gr. 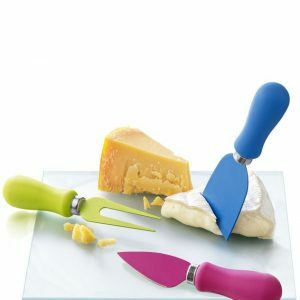 Emmental knife. St.St. and Plastic handle. 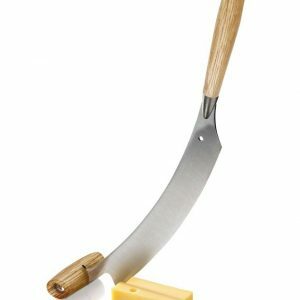 Tool for cutting pieces of cheese out of Parmigiano-Reggiano and Grana cheese.